How can we grow a tree in a day? Every child in the school goes and finds just one leaf. They create their own version of this leaf using different materials and then they are cut out and collated to create a giant School Tree. The idea behind this is to create a giant piece of art work to which whole school contributes. Each class is to go out and each child is to collect a leaf- best done in, but not restricted to, the Autumn term. Each class is to be given a medium in which to work (rubbings/collage/chalks/pastels/sewing...) for their set of leaves and a common size agreed. Once finished, the leaves are then cut out and collected together. 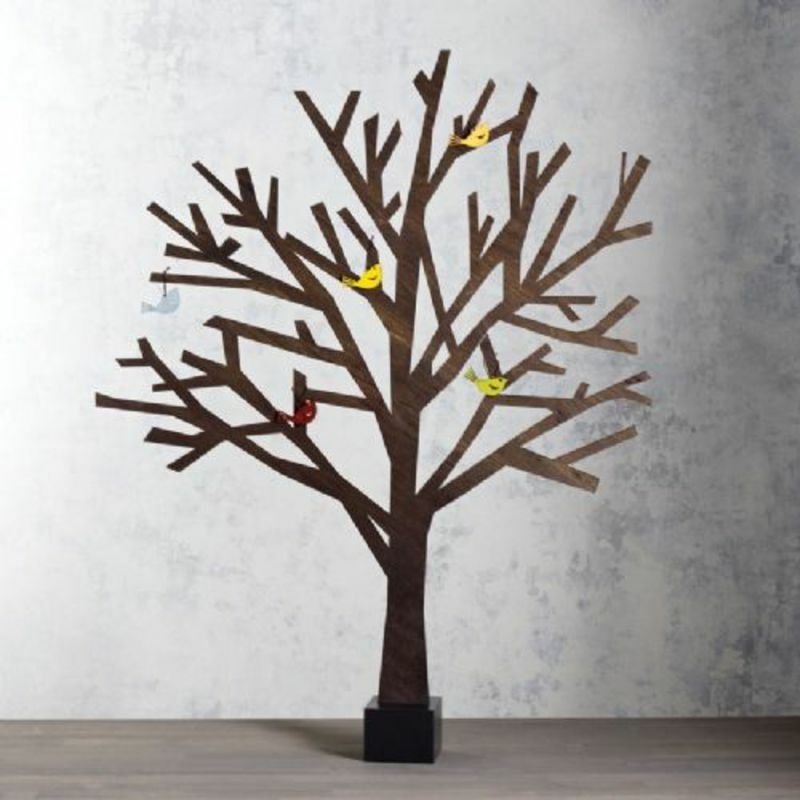 A 'bare tree' needs to be created. 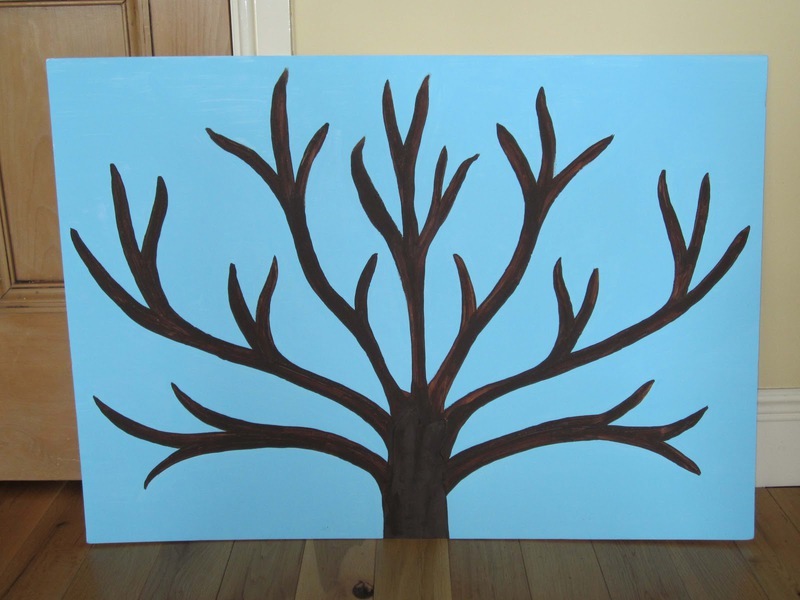 This can be done in many ways, although I like the style of the 'Design Ideas Sherwood Tree'- image below. This style can be replicated by splitting cardboard into two sheets and cutting out strips- of different width and length and then stapling them to a display board. The tree can then grow its leaves from the different classes. A seasonal tree can be completed. Different classes carrying out the project at different times of the year. These are then kept and when the final group has completed theirs, the tree can be split up into thirds (with the leaves from Winter being place on the 'ground') for the different seasons. 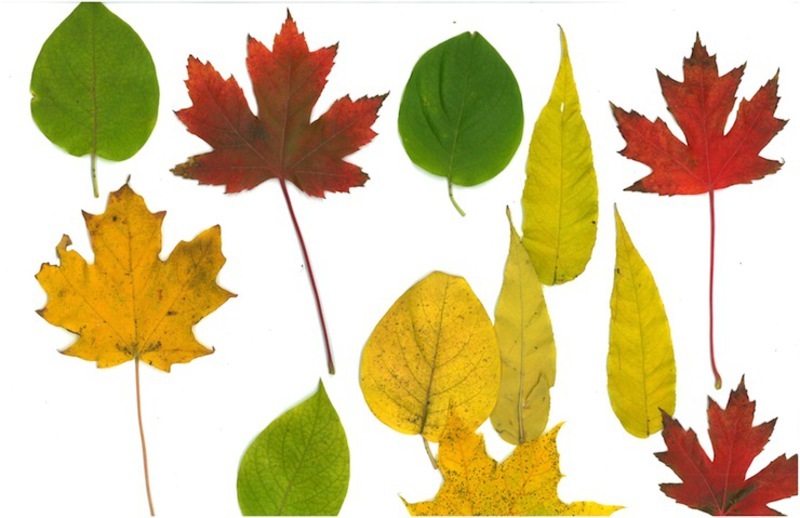 Children could be asked to bring in leaves from home so that there is a variety of different leaves on the School Tree. -An abundance of leaves- from one tree or many.